The planet of Mars has the will to conquer. It is its principle. Considered from this point of view it will not be boring at all! Approximately 225 kilometres far from earth appears the planet of Mars. It is the fourth planet of our solar system. A flight to Mars would take almost seven months. But for those, who would have arrived a cruel scenery would expect them: The average temperature includes a temperature of 55° or 131°F - the existence of water is not yet confirmed. The planet is desertlike. A voyage is already planned. But it might be a voyage without return. Sense the influence of Mars from afar – dispense with the voyage across the universe… By the way, there is sufficient space on earth to experience the fever of Mars: Competitions, conflicts and confrontations – excessive desire for action in each place. This is a portion of pure energetic influence which is delivered by Mars. It doesn’t matter where you are…even when you’re sitting on the sofa. For astrologer has only the position of Mars towards earth significance. Its energetic tantrum is reaching each hidden place this year. With consideration of traditional astrology Mars was given the virtue of unbridled destruction – in so far it is called the god of war as well. It is derived from its red colour that looks like fire and raging flames – de facto caused by its iron oxide surface. The god of war is its definition thus far, but it represents the origin of untamed male energy and the will and unjustifiable conviction to dominate and fight. These correspondences were made towards Mars and its effectual characteristics. In recent times, however, astrology has begun to make a difference between the divergent modes of action. With regard to comprehensive assessment of further evaluation it is shown a constant interaction with positive and negative phenomena. Without conquering and competition - hence the energy of battles - advancing towards various ventures – the gods of progress would have blamed them. Another positive interpretation may show us how to find new frontiers –the so called frontier spirit has not been forgotten in each unique shape and decade - as you may remember long ago. 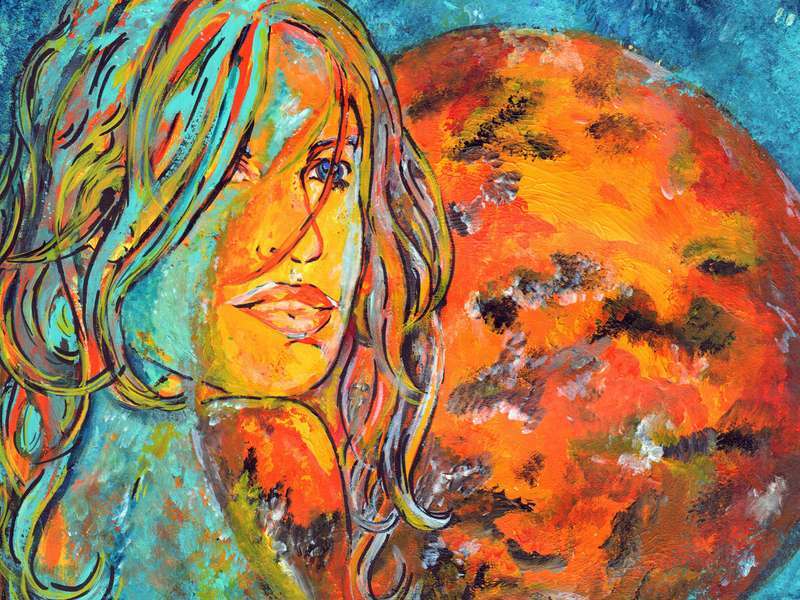 The red planet of fire could be the imaginative <<water bearer>> of original energies: We draw the conclusion it is still responsible for endurance, pioneering, determination and assertiveness. Now you can make up your mind: what would be right or false, as you may like. Thrive for your objectives- and as you may have failed – be the conqueror of your own heart – in a sublime way. Full of spirit and idealism - in a fine way, in a benevolent tradition towards each single creature. 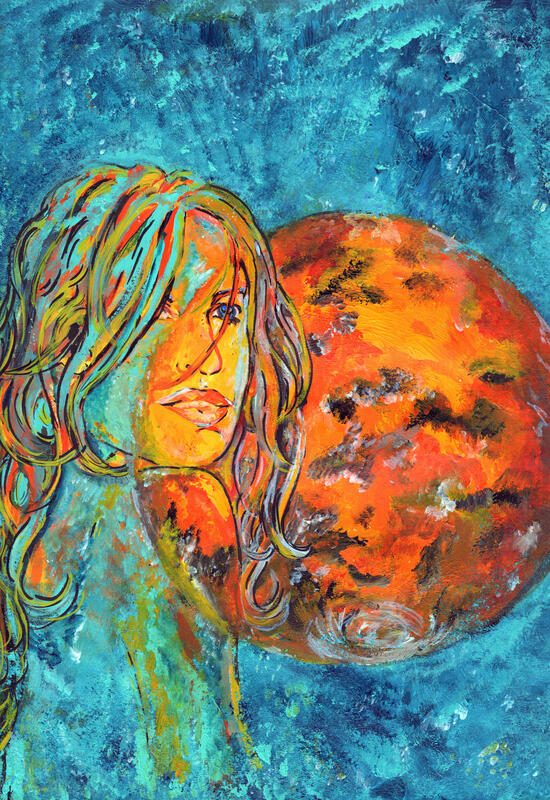 Resisting obstacles and rejection – Mars gives you its power and will to overcome them. Mars represents the male virtues, but even one name out of Mars’ terminology collection: it is self-realization and before the desire for it… Last but not least: passion – sexual impulses: Mars plays the game of conquest, capture and defeat – in its purest tradition. Der rote Planet weckt unseren Eroberungswillen und unsere Entschlusskraft. Retrospectively: Mars brings thunderstorms and difficulties. Its characteristics are quarrelsomeness, being combative and humourlessness, certainly. How to handle remains the crucial question: be aware and be moderate. Keep a liberal balance and do not lose your head – and do not forget your heart. The ruler of Mars is the zodiac sign of Aries.